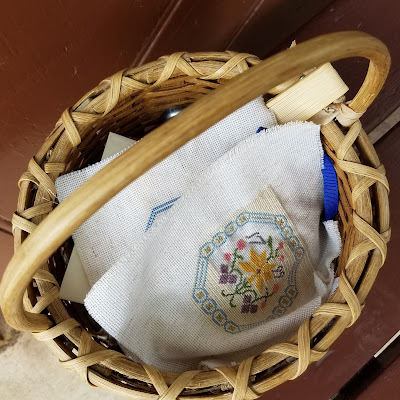 One of the things that has delighted me while people-watching in Colonial Williamsburg, is that the historical interpreters carry around baskets with a bit of handwork or books to keep themselves busy during the lulls in their day. I saw many people reading, some sewing, and even one industrious lady knitting a turkey red wool stocking on double pointed needles! If I ever get to the States, Colonial Williamsburg is the top of my list. That is interesting that they have their little work baskets. Yesterday while in a waiting room, I hemmed three sleeves. I love having work at the ready.